Vikings Go Wild is 25 paylines and 5 reels video slot game powered by Yggdrasil Gaming platform. This slot is one of the beautiful slots by Yggdrasil software platform. The slot is inspired by Vikings and is based on cartoons. The reels of this slot are being set against a green background. 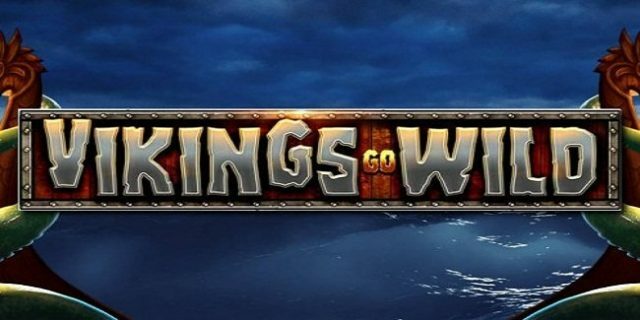 Vikings Go Wild slot can be played using coin sizes ranging from 0.01 per spin to 2 per spin. Minimum and maximum coins per line for the game are just 1. This slot offers a jackpot of 250 coins on your total bet and return of player i.e. RTP is 96.3%. 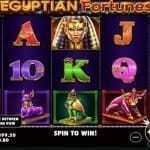 This slot contains wild symbols, free spin feature and bonus symbols as well. 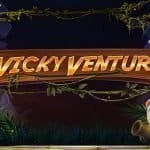 You can play this slot at any Yggdrasil online casino for free or with real money. Before playing this slot, you should adjust your coin size and coins per line. The button “Coin Value +/-“can be used to set the coin size from 0.1 to 2 per spin. The “Max bet” option can be used when a player wants to play the slot with highest bet and “spin” option would set the reels in motion. There is another option available in this game known as “auto Play” option and in this option; a player will turn the reels automatically without any interruption for a chosen number of times. The word ‘wild’ acts as the wild symbol in this game and it can substitute all other symbols except the free spin feature. This feature also provides great winning combinations. If you land 3 or more of free spin symbols, it will trigger free spin feature. 3 free spin symbols on active paylines will give you 8 free spins, 4 free spin symbols will give you 16 free spins and 5 free spin symbols on payline will offer you 24 free spins. The sticky wild feature is also there in the game. 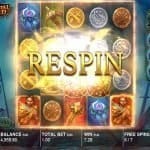 The game contains a treasure chest symbol, which can be triggered during base game as well as during free spins feature. Here you will have a chance to win 1000 coins.